On Sale! Save $2000 on this one, we've marked it down from $21888. With a comfortable and effortlessly quiet interior, and a superb ride quality, riding in this 2010 BMW X5 feels almost like a dream. 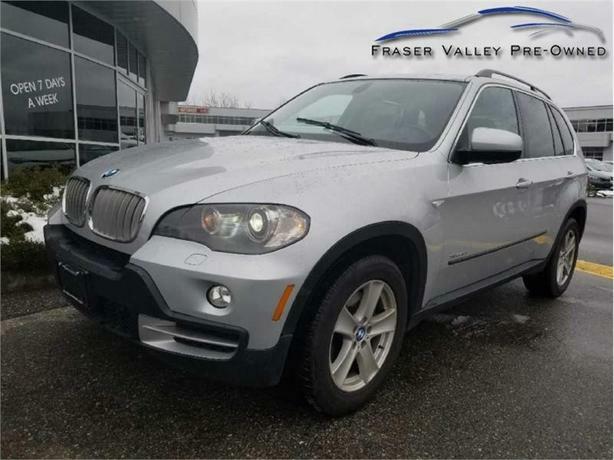 This 2010 BMW X5 is for sale today in Abbotsford. This 2010 BMW X5 continues to be a benchmark for any manufacturer contemplating a new luxury SUV. This X5 offers an interior built to perfection providing the highest of comfort levels for all passengers. The X5's off-road-ability may be outweighed only by its superb on-road manners.Thanks to its well-rounded nature, this 2010 BMW X5 is a top choice for a luxury crossover SUV, especially if performance is a priority. This SUV has 112010 kms. It's silver in colour. It has an automatic transmission and is powered by a 350HP 4.8L 8 Cylinder Engine. Buy this vehicle now for the lowest bi-weekly payment of $175.94 with $0 down for 60 months @ 5.69% APR O.A.C. ( Plus applicable taxes - Plus applicable fees ). See dealer for details.